I had the opportunity to join a Navy Seal operator on a SWAT shoot house exercise recently. The experience was incredible. Participating in the drills was nothing short of exhilarating. At the conclusion, I was awarded a Navy Seal challenge coin for scoring the highest marks on the "El Presidente" hostage scenario. The recognition from a top tier Seal, as well as the coin itself, was really meaningful. For those not familiar with the history of challenge coins, they originated during the First World War, and were given to the pilots by their lieutenant as a symbol of strength and unity to be carried at all times. More information on the history of Challenge Coins can be found here. The military challenge coin is a rich tradition that spoke directly to our studio core values. Each division's coin is different, carries its own traditions, and uniquely describes the pride and respect that is part of the group it represents. 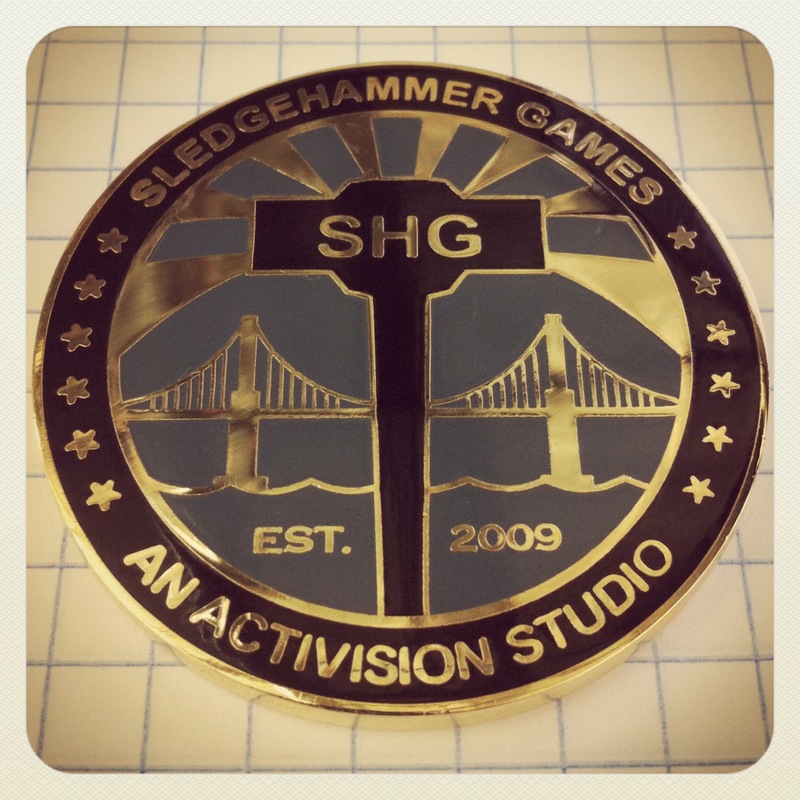 It inspired us to create a Sledgehammer Games challenge coin for our developers, and the coin is awarded to each Hammer as a part of their welcome to our studio team. "Strive for excellence. Treat employees as family. Be the best by hiring the best. World-class development processes. Open, honest, and transparent. Everyone is a game maker. Work hard, play hard. We care more." If you'd like to know more about our studio culture, or how to earn your very own Sledgehammer Games coin, please head over to our Linkedin Page.